This LED retrofit trim in a white finish has a baffle trim design for a practical and attractive addition to any home. This energy-efficient 10 watt LED square retrofit module easily replaces outdated incandescent housings. Built into a modern white square housing, it is dimmable with selected dimmers and suitable for both indoor and wet locations. Complies with California T24 residential LED specification. Comes with an off-white finish baffle trim. From the Cyber Tech LED collection. 5 1/4" wide x 5 1/4" length x 2 ¾” deep. Compatible with most 4" housings. Recessed lighting LED retrofit module by Cyber Tech. Built-in dimmable 10 watt LED module. 700 lumens, comparable to a 60 watt incandescent. 3000K. 90 CRI. Off-white finish baffle trim. 90 degree beam angle. Complies with California Title 24. 35,000 hour lifespan at 3 hours per day. Comes with standard quick connect plug. Suitable for indoor and wet locations. 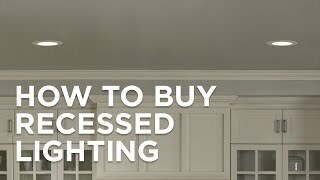 My ceilings are white, will this off-white color look yellow? BEST ANSWER: Hi, the trim will not appear yellow.